Prepare Ye-for the way of the musical! GODSPELL, the energetic musical re-telling of the Gospel according to St. Matthew, will be presented by Theatre in the Park INDOOR beginning a three-week run on Friday evening, Oct. 6. Performances continue at 7:30 p.m. Oct. 7, 12, 13, 14, 20 and 21. Matinee performances at 2 p.m. will take place on Oct. 7, 8, 14, 15, 21 and 22. The Oct. 21, the 7:30 p.m. show will be an American Sign Language interpreted performance. This show is rated PG. This is the inaugural indoor season for TTIP with all productions being held in the Black Box theatre of the new Johnson County Arts & Heritage Center (AHC), 8788 Metcalf, in Overland Park. In addition to GODSPELL, the TTIP INDOOR season includes two power-packed musicals –THE HAPPY ELF (Dec. 8-24), its Winter Academy production, LEGALLY BLONDE Jr. (Dec. 29-30) and the Stars Gala (Dec. 31). TTIP INDOOR’s production of GODSPELL is directed by Bob Stewart with an all-local cast and will be performed in the round. 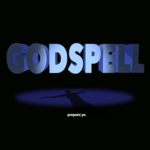 GODSPELL features music and lyrics by WICKED composer and lyricist Stephen Schwartz with a score infused by a wide range of musical styles from pop to vaudeville including “Day By Day,” “Prepare Ye the Way of The Lord” and “Turn Back O Man”. The production tells the story of Jesus’ life sharing many parables using devices such as games, storytelling techniques as well as comedy. Jesus’ messages of kindness, tolerance and love come vibrantly to life. Stewart said performing in the round provides an intimate experience for the audience. Tickets are $20 for adults, $18 for seniors (60+) and $15 children (10 and under). Tickets for matinee performances are 20 percent off the regular price. Tickets for TTIP INDOOR productions may be purchased online at www.theatreinthepark.org or at the theatre box office the nights/afternoons of performance. TTIP is the largest outdoor community theater in the country, and has been providing quality theatre entertainment in the community for more than four decades. TTIP now produces entertainment in two locations: during the summer outdoors at Shawnee Mission Park, at 7710 Renner Road, and indoors at AHC, 8788 Metcalf, in Overland Park. TTIP is a program of the Johnson County Park & Recreation District. For more information about 2017-2018 TTIP productions, please visit http://www.theatreinthepark.org.